Luxembourg Leaks (sometimes shortened to Lux Leaks or LuxLeaks) is the name of a financial scandal revealed in November 2014 by a journalistic investigation conducted by the International Consortium of Investigative Journalists. It is based on confidential information about Luxembourg's tax rulings set up by PricewaterhouseCoopers from 2002 to 2010 to the benefits of its clients. This investigation resulted in making available to the public tax rulings for over three hundred multinational companies based in Luxembourg. The LuxLeaks' disclosures attracted international attention and comment about tax avoidance schemes in Luxembourg and elsewhere. This scandal contributed to the implementation of measures aiming at reducing tax dumping and regulating tax avoidance schemes beneficial to multinational companies. The judicial aspects of this case concern the persons charged by Luxembourg justice for participating in the revelations. No multinational company was charged. The LuxLeaks trial took place in spring 2016 and led to the condemnation of the two whistleblowers. The appeal trial's judgment was delivered in March 2017, upholding monetary fines and reducing the suspended jail sentence for Deltour. On 5 November 2014, the Washington, D.C.–based International Consortium of Investigative Journalists (ICIJ) released LuxLeaks investigation. Eighty journalists from media organizations around the globe had been involved in collaboratively reviewing 28,000 pages of documents. All documents are available online in a searchable database categorized by industry and corporation published by the ICIJ and by other websites. The documents disclose tax rulings between Luxembourg and more than 340 companies worldwide aiming at reducing their tax payments. The Luxembourg Leaks provide insight into 548 tax rulings, dating from 2002 to 2010. On 9 December 2014, ICIJ revealed new names of about 30 large companies benefiting from tax rulings and tax avoidance schemes in Luxembourg. This second wave is labeled "LuxLeaks 2" in complement to the first revelation wave in November labeled "LuxLeaks 1". The LuxLeaks revelations have had a worldwide impact, as ICIJ partnered its investigations with many media around the world: CNBC (USA), CBC (Canada), The Irish Times (Ireland), Le Monde (France), Tagesanzeiger (Switzerland), Süddeutsche Zeitung (Germany), Asahi Shimbun (Japan) and many others. After publishing LuxLeaks investigation, ICIJ was awarded one of the United States' top journalism awards, the George Polk Awards in the Business Reporting category (ICIJ is jointly awarded for 2 other investigations) in February 2015. ICIJ was also awarded 'Investigation of the Year' for the LuxLeaks and SwissLeaks investigations at the Data Journalism Awards in June 2015. Although the ICIJ LuxLeaks and WikiLeaks show similarity in names and operating mode (as international, online, non-profit, journalistic organisations publishing confidential or secret information), this does not imply any known connection between them. LuxLeaks revelations shed light on the Luxembourgish tax regime, highly beneficial to multinational companies. Foreign corporations started settling in Luxembourg in large numbers in the early 1990s, when Luxembourg transposed in its national law a EU directive that allowed companies to pay taxes in a European headquarters country other than where their subsidiaries operated. Tax rulings are set up by large accounting firms (the "Big Four") for the benefits of their clients, multinational companies, and then approved by the Luxembourgish tax administration. Tax rulings include schemes to transfer revenues to Luxembourg. Transfer pricing is one of the mechanisms used by multinational corporations to reallocate profits. Intra-group loans are another possible mechanism: a company based in a high-tax country gives a loan at a low interest rate to a subsidiary in Luxembourg. The interest rate reflects the credit rating of the company group, for example 1%. The subsidiary in Luxembourg is typically set up with the purpose of loaning money at high interest rates, for example 9%, back to another subsidiary outside Luxembourg. Since the tax regime in Luxembourg is tailored to be advantageous for financial arm of multinational companies, the profits generated there are taxed at very low rates. Such mechanisms are effective means to erode tax bases in countries with high tax rates and to shift profits to countries where they are less taxed (see also Base erosion and profit shifting). In many cases the companies' presence in Luxembourg is only symbolic. For instance, 1,600 companies are registered at the same address – 5, rue Guillaume Kroll – in Luxembourg. The legality of tax rulings is under question. Even if they exist in many European countries, tax rulings tend to become considered as state aids able to distort competition. The European Commission Directorate-General for Competition launched several investigations in the last years. In October 2015, the European Commission concluded that the tax deals in favour of Fiat Finance and Trade in Luxembourg and Starbucks in the Netherlands are illegal state aid. During her press conference, the European Commission Competition Commissioner Margrethe Vestager confirmed: "We used the information coming from the LuxLeaks as market information [...] The whistleblower also plays an important role here." Following the LuxLeaks revelations, several investigations were launched against other multinational companies. Since December 2015, the McDonald's company is subject to an investigation launched by the European Commission Directorate-General for Competition. It looks into a system of licenses paid by the European subsidiaries of McDonald's to its Luxembourg branch. More than one billion Euros of tax loss for the European states between 2009 and 2013 would be at stake. McDonald's doesn't wait for the investigations' conclusions and announces in December 2016 the moving of its tax branch from Luxembourg to the United Kingdom. Investigations are also now opened against Amazon in 2014 and against GDF-Suez (now Engie) in 2016 for their tax schemes in Luxembourg. Ikea is also on the radar of EU. On 11 January 2016, the European Commission concluded that the preferential tax system established since 2005 in Belgium was illegal. Consequently, thirty-five large multinational companies which benefited from this illegal tax system will have to reimburse a tax shortfall estimated to at least 700 million Euros. Referring to the change of momentum about corporate taxation in Europe, EU Competition Commissioner Margrethe Vestager said: "I think everyone should thank both the whistleblower and the investigative journalists who put a lot of work into this". When revealed, LuxLeaks impact on the public opinion was particularly high, as it put in front line the controversial role of Jean-Claude Juncker, president of the European Commission newly appointed a few days before LuxLeaks revelations. Juncker was Luxembourg's prime minister at the time when many of his country's tax-avoidance rules were enacted. Luxembourg's finance minister, Pierre Gramegna, described the leak as "the worst attack" his country had ever experienced. The LuxLeaks raised discussion on tax avoidance in Luxembourg and other countries. Following the LuxLeaks scandal, anti-EU groups at the European Parliament, including the UK Independence Party and France's National Front, proposed a motion of censure against European Commission's team with J.C. Juncker as its president. On 27 November 2014, the vote led to the European Parliament rejecting the motion of censure, as mainstream political groups supported Jean-Claude Juncker. On 12 February 2015, the European Parliament set up a special committee on tax rulings in the European Union Member States. The committee is composed of 45 members and initially had six months to report its findings. This special committee was preferred to a committee of inquiry which would have implied a higher power of inquiry. This choice is considered by some parliamentarians as a political willingness not to embarrass Jean-Claude Juncker. In the context of its investigations, the special committee requested information to the Commission and Member States, it commissioned research briefings, held public hearings and Committee's delegations visited several countries in Europe. The Committee faced multinational corporations' unwillingness to testimony. On 26 October 2015, the committee published at the end of its mandate a report with several recommendations: country-by-country reporting of multinationals' activities; introducing Common Consolidated Corporate Tax Base (CCTB) in Europe; including the European Commission into the tax rulings automatic information sharing; better protection for whistleblowers. At the end of November 2015, the report was approved by the European Parliament in a plenary session vote. The special committee of the European Parliament has been reactivated until June 2016. Reactivation of the committee follows press' disclosure of documents, which demonstrates how some countries within the European Commission have been obstructive for more than ten years regarding any reform of the systems allowing aggressive tax avoidance. The new special committee includes the same members as the initial committee. It aims at following and deepening previous investigations on tax rulings and tax policies in European Union states. The first action at the European Commission level was a Tax Transparency Package that commissioner Pierre Moscovici presented on 18 March 2015. It mainly consisted in setting up a system of automatic exchange of information on advance tax ruling between Member States' tax administrations. Non-governmental organizations (NGO) and Members of European Parliament (MEP) consider these measures insufficient as no public release of the rulings is expected. The technical document accompanying the Tax Transparency Package considers LuxLeaks as a major motive for the Commission's decision to act on corporate tax avoidance. That's why some anti federalist politicians fear that the European Commission will use LuxLeaks to push for tax harmonisation. In October 2015, European finance ministers evaluated the system of automatic exchange of information on tax rulings between Member States administrations, leaving however the European Commission and the public in general outside of this information exchange. The automatic exchange of information on advance tax ruling between Member States' tax administrations is effective since 1 January 2017. The European Commission made a second move on 17 June 2015 by presenting an "Action Plan for Fair and Efficient Corporate Taxation in the EU". In introducing the action plan, Commissioner Pierre Moscovici said "Corporate taxation in the EU needs radical reform [and] everyone must pay their fair share". The action plan on fairer taxation proposes to re-launch the Common Consolidated Corporate Tax Base, four years after its previous attempt met Member States' opposition. It also proposes several measures in order to reach effective taxation of companies in the countries where the profits are made. The Commission also published a list of Top 30 tax havens among non-EU Member States. NGOs expressed doubts that this action plan would successfully eradicate multinational companies' profit shifting and underlined the lack of willingness in acting quickly on the subject. The European Commission released on 27 January 2016 a new Action Plan, including anti-tax avoidance measures such as the automatic exchange of key information related to multinationals' activities. However, in order to be enacted, this plan will have to be unanimously approved by the member states of the European Union. The new Action Plan has already been assessed by tax justice NGOs as being too weak a measure to counteract tax avoidance. On 12 April 2016, the European Commission presented a new plan to tackle corporate tax dodging. A European Parliament's study estimates that EU countries lose between €50 billion and €70 billion in tax revenue every year, due to corporate income tax avoidance. In June 2016, European Member States came to an agreement on fighting against the main tax optimization tools used by companies in Europe. However, the agreement could be reached only with the inclusion of exemptions and an increased implementation time length, which are expected to weaken the effects of this deal. In October 2016, the European Commission proposed to create a Common Consolidated Corporate Tax Base for companies operating in the EU. 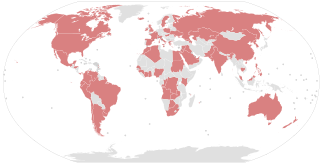 Measures to combat tax minimization were discussed by leaders attending the 2014 G-20 Brisbane summit and included in the G-20 Leaders' Final Communiqué: "We are taking actions to ensure the fairness of the international tax system and to secure countries' revenue bases. Profits should be taxed where economic activities deriving the profits are performed and where value is created." In November 2015, the 2015 G-20 Antalya summit adopted the action plan released by the OECD in early October. The base erosion and profit shifting plan includes a list of 15 measures. NGOs fear that this plan will not be sufficient to end multinationals tax avoidance. LuxLeaks revelations stress the fact that tax rulings are a priori legal but secret under the law of Luxembourg. Numerous European Member States sign tax rulings (22 out of 28 States), but European statistics show that in 2014, Luxembourg is the European country having the highest number of these ongoing 'sweetheart tax deals'. After LuxLeaks revelations, tax rulings kept on being agreed in Luxembourg. The Luxembourgish tax administration indicated that 715 new tax rulings were signed in 2014 and 726 in 2015. The content of these rulings remains secret: neither the name of benefiting companies nor the tax rates obtained are known. In May 2016, some press articles reported that Luxembourg has started to propose to multinationals some verbal tax rulings instead of written ones, in order to keep them secret. 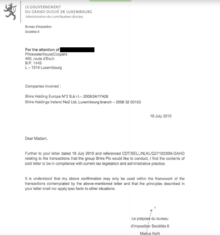 Luxembourg denied this information. In December 2016, Luxembourg government shows good will and changes its tax rules for companies, making it more difficult for multinationals to avoid paying taxes through international structure. However, in January 2017, The Guardian publishes revelations showing that Luxembourg continues obstructing tax reforms efforts in Brussels, as was the case when Jean-Claude Juncker was the Grand-Duchy Prime Minister. In Luxembourg, LuxLeaks revelations are often considered as a national trauma due to the stigma made to the country, perceived abroad as "tied to banking secrecy". Following the LuxLeaks, the Luxembourg government set up a nation branding policy to improve the image of the country. Nevertheless, with the trial of the whistleblowers and journalist who are involved in the disclosure of the leaks, Luxembourg continued to be perceived as a tax and judicial haven. In December 2014, the British parliamentary Public Accounts Committee interviewed Kevin Nicholson (head of tax division in PwC UK) for the second time in two years. Margaret Hodge, the chairwoman of the committee, accused Nicholson of having lied in the first hearing before LuxLeaks. She said: "It's very hard for me to understand that this is anything other than a mass-marketed tax avoidance scheme," and "I think there are three ways in which you lied and I think what you are doing is selling tax avoidance on an industrial scale." Nicholson denied that PwC mass-marketed tax avoidance schemes. On 6 February 2015, the Public Accounts Committee published the report "Tax avoidance: the role of large accountancy firms". Commenting on the report, Margaret Hodge, chairwoman of the committee, says PwC's activities represent "nothing short of the promotion of tax avoidance on an industrial scale". During its investigation, the committee heard the British subsidiary of PwC and large companies that benefited from tax rulings. In March 2015, the government of the United Kingdom announced the introduction of a diverted profits tax to deter firms setting up tax avoidance schemes. According to the International Consortium of Investigative Journalists (ICIJ), files used for the LuxLeaks revelations come from employees or former employees of Luxembourgish subsidiaries of the international accounting firms: PwC, EY, Deloitte and KPMG (the "Big Four"). Between December 2014 and April 2015, three people were indicted in Luxembourg in connection with LuxLeaks revelations. No multinational corporation faces charges in any country or at the international level, due to the so far legality of tax rulings. On 12 December 2014, the Luxembourg prosecutor's office announced that an investigating judge had charged someone with theft, disclosing of confidential information and trade secrets, money laundering and fraud, following the complaint filed by PwC in 2012 against a former employee. On 14 December 2014, Antoine Deltour – a 28-year-old Frenchman – identified himself and said that his motivation was public good and not financial motivation. He stated that the files he copied were not protected and that he did not hack any system. He said he had no contact with ICIJ which had disclosed the LuxLeaks documents and he did not attempt to hide what he was doing. He copied the files because he thought "this type of data could document the tax ruling practice, which was widely unknown, especially in terms of scale." Support to the young French whistleblower progressively grew. On 23 December 2014, more than 70 politicians, academics, union heads and charity leaders around the world signed in The Guardian an open letter in opposition to the decision by Luxembourg to prosecute Antoine Deltour. On 10 March 2015, the French newspaper Libération released an Op-Ed article signed by multiple French and International signatories including Edward Snowden, Thomas Piketty and Eva Joly. A support committee to Antoine Deltour set up a public petition that got more than 212,000 signatures in November 2016. On 3 June 2015, Antoine Deltour was awarded the European Citizens' Prize by the European Parliament, a prize annually awarding Europeans contributing to the promotion of European citizenship and mutual cultural understanding. On 10 September 2015, Antoine Deltour was jointly nominated, together with two other whistleblowers – Stéphanie Gibaud and Edward Snowden – for the 2015 Sakharov Prize for Freedom of Thought. In December 2015, Antoine Deltour was recognized as the "Person of the Year 2015" by Tax Notes International professional magazine, for the influential role he played in shaping new international tax law. New names of companies which benefited from tax rulings were revealed in December 2014 ("LuxLeaks 2"). These names show that other leaks originated from PwC but also from other accountancy firms based in Luxembourg. On 23 January 2015, Raphaël Halet, another former PricewaterhouseCoopers employee was charged for similar accusations as was Antoine Deltour, following the leak of 16 tax returns of US companies. This employee was fired due to the leak. His identity was kept secret until the trial began, as Halet signed a secret agreement with PwC forcing him to silence. On 23 April 2015, the journalist Edouard Perrin was indicted in Luxembourg for being the co-author or accomplice of the offences committed by the former PwC employee charged on 23 January. Journalist organizations consider this judicial decision as an attempt against press freedom. Antoine Deltour and his lawyers Philippe Penning (at the centre) and William Bourdon (on the right) at the Criminal Court of Luxembourg. Following Price Waterhouse Coopers' complaint, the trial of the three people involved in the disclosure of secret tax agreements was held from 26 April to 11 May 2016 at the Criminal Court of Luxembourg, for eight half-day hearings, instead of the five initially scheduled. The prosecutor and lawyers for the plaintiff (PricewaterhouseCoopers) emphasized the disclosure of secret documents as an act of delinquency. According to the lawyers of the former employees of the audit firm, Antoine Deltour and Raphael Halet only acted with the motivation of defending the general interest. During their hearings, Antoine Deltour and Raphael Halet emphasized their role of whistleblowers disclosing multinational companies' aggressive tax planning practices, which are immoral and extremely detrimental to the common good. The journalist Edouard Perrin's lawyers argued that he only acted professionally and that he was not the sponsor of the leaks. At the end of the trial, the prosecutor requested an 18-month jail sentence for the two whistleblowers (possibly a fully conditional sentence), as well as fines against them and against the journalist (of a non specified amount). PricewaterhouseCoopers' lawyers asked the defendant's conviction and 1 euro in damages. The defense lawyers have all pleaded acquittal of their clients, on the basis of freedom of expression as interpreted by the European Court of Human Rights. The judgment was delivered on 29 June 2016. Antoine Deltour is sentenced to a suspended 12-month jail time and a 1,500 € fine. Raphaël Halet is sentenced to a suspended 9-month jail time and a 1,000 € fine. Edouard Perrin, the journalist who first released the revelations, is acquitted. The media coverage of the LuxLeaks trial was high, as it is symbolic of the current difficulties faced by whistleblowers and their insufficient protection in Europe. In 2016 the EU adopted new rules on companies' trade secrets; in the meantime, the project of a directive on the general whistleblowers' protection doesn't go ahead. The trial also raised the issue of tax practices legitimacy revealed by Luxleaks case. Faced with the unfairness of the trial, the defendants found many supporters during the trial and in front or in the Luxembourg Court. In July 2016, Antoine Deltour and Raphaël Halet both decided to appeal against their respective sentence. Late July, the prosecutor of Luxembourg also appealed the verdict, in order to ensure a full trial and avoid truncating the case. The acquittal of journalist Edouard Perrin was subject to review. Before the appeal trial began, 108 MEPs signed an open letter addressed to the whistleblowers "to express [their] support and solidarity with [the whistleblowers] in light of the ongoing judicial proceedings against [them] in Luxembourg. [They] salute their courage over the past years and their tenacity in trying to overturn the 29 June verdict." The appeal trial took place in Luxembourg from 12 December 2016 to 9 January 2017 and included five half-day hearings. The appeal trial mainly focused on contradictory arguments about the European Court of Human Rights' criteria used to recognize someone as a whistleblower. All the criteria were fulfilled according to Deltour and Halet's lawyers, but challenged by the prosecutor and the plaintiff. Halet's defense also argued on the illegality, at the time of the facts, of Luxembourg tax authorities policies regarding tax rulings. In his indictment, the prosecutor required reduced sentences, compared to the sentences delivered in first instance. He also requested journalist Edouard Perrin's acquittal. The defense pleaded for acquittal of each of the three defendants. Both Antoine Deltour's and Raphaël Halet's sentences were reduced as a result of their respective appeals. Deltour was given a 6-month suspended prison sentence and charged with a 1500 euro fine while Halet was given a 1000 euro fine. The journalist Edouard Perrin was acquitted. ^ Wayne, Leslie; Carr, Kelly (6 November 2014). "Lux Leaks Revelations Bring Swift Response Around World". International Consortium of Investigative Journalists. ^ Ribeiro, Ana (16 March 2017). "LuxLeaks appeal: Fine upheld, suspended jail sentence reduced for key whistleblower". ^ Boland Rudder, Hamish; Schilis-Gallego, Cécile (7 November 2014). "Luxembourg Leaks Stories Around the World". International Consortium of Investigative Journalists. ^ Caruana Galizia, Matthew; Cabra, Mar; Williams, Margot; Díaz-Struck, Emilia; Boland Rudder, Hamish (9 November 2014). "Explore the Documents: Luxembourg Leaks Database". International Consortium of Investigative Journalists. ^ "Luxembourg Leaks". publicintegrity.org. Retrieved 7 July 2015. ^ a b Bowers, Simon (5 November 2014). "Luxembourg tax files: how tiny state rubber-stamped tax avoidance on an industrial scale". The Guardian. Retrieved 12 November 2014. ^ Keena, Colm (7 November 2014). "Luxembourg leaks controversy a 'game changer'". Irish Times. Retrieved 15 November 2014. ^ Gusovsky, Dina (6 November 2014). "Taxes, multinational firms & Luxembourg—revealed". CNBC. Retrieved 7 July 2015. ^ a b Dubinsky, Zach; Cashore, Harvey; Zalac, Frédéric; Klein, Verena (6 November 2014). "Federal pension board used offshore 'scheme' to skirt foreign taxes". CBC.ca. Canadian Broadcasting Corporation. ^ Keena, Colm (6 November 2014). "Northern and Shell used west Dublin address to cut Luxembourg tax bill on €1bn". Irish Times. ^ Michel, Anne (5 November 2014). "Le Luxembourg, plaque tournante de l'évasion fiscale" [Luxembourg, hub of tax evasion]. Le Monde. Retrieved 7 July 2015. ^ Plattner, Titus; Stäuble, Mario (6 November 2014). "Luxemburgs Milliardenrabatte für Grosskonzerne" [Luxembourg billion discounts for large corporations]. Der Tagesanzeiger (in German). Switzerland. Retrieved 7 July 2015. ^ Brinkmann, Bastian; Gammelin, Cerstin; Obermayer, Bastian (5 November 2014). "Konzerne ertricksen sich in Luxemburg Milliarden an Steuern" [Corporate tricks in Luxembourg billion in taxes]. Süddeutsche Zeitung (in German). Retrieved 7 July 2015. ^ "ルクセンブルク当局と各国企業、課税で秘密合意" [Luxembourg authorities and international companies, taxed at a secret agreement]. Asahi Shimbun (in Japanese). 7 November 2014. Retrieved 15 November 2014. ^ "ICIJ work on offshore secrecy awarded Polk prize". International Consortium of Investigative Journalists. 16 February 2015. Retrieved 7 July 2015. ^ "LuxLeaks, SwissLeaks win top Data Journalism Award". International Consortium of Investigative Journalists. 18 June 2015. Retrieved 7 July 2015. ^ "KPMG setzt ein Zeichen in Kirchberg" [KPMG sets an example in Kirchberg]. Luxemburger Wort (in German). 17 April 2012. Retrieved 26 April 2015. ^ Karnitschnig, Matthew; van Daalen, Robin (21 October 2014). "Business-Friendly Bureaucrat Helped Build Tax Haven in Luxembourg". Wall Street Journal. Retrieved 15 November 2014. ^ Ting, Antony (10 November 2014). "Luxembourg leaks: how harmful tax competition leads to profit shifting". The Conversation. ^ Keena, Colm (6 November 2014). "Luxembourg corporate tax regime saves companies cash". The Irish Times. Retrieved 7 July 2015. ^ "Luxembourg under fire over tax deals". SBS. 6 November 2014. Retrieved 7 July 2015. ^ "EU Commission declares tax rulings as illegal state aid". Euranet Plus. 21 October 2015. Retrieved 27 October 2015. ^ "press conference by Commissioner Margrethe VESTAGER". European Commission Audiovisual Services. 21 October 2015. Retrieved 27 October 2015. ^ "Commission investigates McDonald's tax rulings in latest Luxleaks twist". Euractiv.com. 3 December 2015. Retrieved 31 March 2016. ^ "Here's How McDonald's Avoided $1.2B In European Taxes After Shifting Operations To Luxembourg". ibtimes.com/. 25 February 2015. Retrieved 31 March 2016. ^ Bowers, Simon (8 December 2016). "McDonald's to scrap Luxembourg tax structure". The Guardian. Retrieved 3 February 2017. ^ "Vestager: 'We have Amazon and McDonald's in the pipeline'". Euractiv.com. 16 September 2016. Retrieved 3 December 2016. ^ "EU probes French gas giant Engie's Luxembourg tax deals". Luxemburger Wort. 19 September 2016. Retrieved 3 December 2016. ^ "Ikea on EU Radar as Vestager Looks Beyond Apple's Tax Billions". Bloomberg.com. 14 September 2016. Retrieved 3 December 2016. ^ "EU says Belgium's tax breaks for multinationals are illegal". Luxemburger Wort. 11 January 2016. Retrieved 31 March 2016. ^ "Vestager: We should thank the LuxLeaks whistleblowers". Euractiv.com. 11 January 2016. Retrieved 31 March 2016. ^ Boland-Rudder, Hamish; Wayne, Leslie; Carr, Kelly (19 November 2014). "'Lux Leaks' causes 'tax storm' of government, media response". International Consortium of Investigative Journalists. ^ Bowers, Ian Traynor Simon (24 November 2014). "Juncker on defensive in censure motion over Luxembourg tax schemes". The Guardian. Retrieved 3 December 2016. ^ "EU to press Luxembourg over tax breaks amid fresh allegations". BBC News. 6 November 2014. ^ Kanter, James; Higgins, Andrew (6 November 2014). "Jean-Claude Juncker, Top E.U. Official, Faces Rising Furor Over Luxembourg Tax Revelations". New York Times. Retrieved 7 July 2015. ^ "Opinion: ′Luxembourg leaks′ revelations, a problem for Juncker". Deutsche Welle. 6 November 2014. Retrieved 7 July 2015. ^ Bermingham, Finbarr (12 November 2014). "Lux Leaks: Juncker Defends Role in Tax Avoidance as Pressure Mounts on President to Resign". International Business Times. ^ Gotev, Georgi (27 November 2014). "Juncker emerges stronger from Luxleaks censure motion". EurActiv.com. Retrieved 7 July 2015. ^ "Parliament sets up a special committee on tax rulings" (Press release). European Parliament. 12 February 2015. Retrieved 7 July 2015. ^ Robert, Aline (6 February 2015). "Parliament shuns committee of inquiry into Luxleaks". EurActiv.com. ^ "MEPs vote for special committee on tax evasion". Euranet Plus. 12 February 2015. Retrieved 7 July 2015. ^ "A short FAQ on the European Parliament's probe into tax rulings". Tax Justice Network. 18 May 2015. Retrieved 7 July 2015. ^ "The Committee on Tax Rulings and Other Measures Similar in Effect". European Parliament Committees. European Parliament. 19 June 2015. Retrieved 7 July 2015. ^ "Europe stacks the cards against corporate tax evasion". EuraNet Plus. EuraNet Plus. 15 July 2015. Retrieved 19 July 2015. ^ "Tax rulings committee flexes muscles over Luxleaks hearings". EurActiv.com. 25 June 2015. Retrieved 19 July 2015. ^ "Fairer corporate taxes: Special Committee on Tax Rulings votes recommendations" (Press release). 26 October 2015. Retrieved 26 October 2015. ^ "TAXE committee to fight tax evasion for another six months". Euractiv.com. 26 November 2015. Retrieved 31 March 2016. ^ Becker, Markus; Müller, Peter; Pauly, Christoph (6 November 2015). "Internal EU Documents: How the Benelux Blocked Anti-Tax Haven Laws". Spiegel Online International. Retrieved 31 March 2016. ^ "European Parliament Committees: Tax Rulings and Other Measures Similar in Nature or Effect (TAXE 2)". Retrieved 31 March 2016. ^ Fox, Benjamin (31 March 2015). "EU plans 'revolution' on sweetheart tax deals". EU Observer. Retrieved 7 July 2015. ^ O'Brien, James (31 March 2015). "MEPs unconvinced by commission's 'revolutionary' EU tax transparency proposals". The Parliament Magazine. Retrieved 7 July 2015. ^ "European Commission's Tax Transparency Package keeps tax deals secret". European Network on Debt and Development. 18 March 2015. Retrieved 7 July 2015. ^ Fitzgibbon, Will (18 March 2015). "'Fundamental change' in EU tax rules after LuxLeaks". International Consortium of Investigative Journalists. Retrieved 7 July 2015. ^ "Tax Transparency Package: Commission will use LuxLeaks to push for harmonization, ECR Group fears". viEUws. 24 March 2015. Retrieved 7 July 2015. ^ Pigman, Alex (6 October 2015). "EU agrees greater transparency on tax deals after LuxLeaks scandal". Yahoo! News. ^ "New EU transparency rule to close corporate tax loophole". ICIJ. 8 October 2015. Retrieved 27 October 2015. ^ "Commission presents Action Plan for Fair and Efficient Corporate Taxation in the EU" (Press release). Brussels: European Commission. 17 June 2015. Retrieved 7 July 2015. ^ "Commission to propose common tax base for multinationals – again". EurActiv.com. 17 June 2015. Retrieved 7 July 2015. ^ "European Commission half measures will exacerbate profit shifting". Tax Justice Network. 17 June 2015. Retrieved 7 July 2015. ^ "EU's anti-tax avoidance package likely to fail, say NGOs". Euractiv.com. 28 January 2016. Retrieved 31 March 2016. ^ "EU offers new plan to tackle corporate tax dodging". reuters.com. 12 April 2016. Retrieved 3 June 2016. ^ "EU struggles to close tax loopholes with new law". EU Observer. 22 June 2016. Retrieved 3 December 2016. ^ "Brussels aims to harmonise corporate tax by 2021". Euractiv.com. 27 October 2016. Retrieved 3 December 2016. ^ "G20 Leaders' Communiqué Brisbane Summit, 15-16 November 2014" (PDF). G20. Archived from the original (PDF) on 24 April 2015. ^ "G20 leaders endorse OECD measures to crackdown on tax evasion; reaffirm its role in ensuring strong, sustainable and inclusive growth" (Press release). 16 November 2015. Retrieved 17 November 2015. ^ "OECD's BEPS proposals will not be the end of tax avoidance by multinationals". Tax Justice Network (Press release). 5 October 2015. Retrieved 27 October 2015. ^ Ryding, Tove (2 October 2015). "An assessment of the G20/ OECD BEPS outcomes: Failing to reach its objectives". Eurodad.org. ^ "Sweetheart tax deals trending in the EU". Eurodad.org. 25 February 2016. Retrieved 31 March 2016. ^ Poujol, Véronique (18 March 2015). "715 "rulings" en 2014" [715 Rulings in 2014]. PaperJam Magazine (in French). Retrieved 7 July 2015. ^ Hennebert, Jean-Michel (26 April 2016). "726 "rulings" traités en 2015" [726 Rulings in 2015]. PaperJam Magazine (in French). Retrieved 3 June 2016. ^ "Luxembourg denies report it offers unwritten tax rulings". reuters.com. 24 May 2016. Retrieved 3 June 2016. ^ "Luxembourg changes tax rules for companies". EUObserver. 28 December 2016. Retrieved 3 February 2017. ^ Bowers, Simon (1 January 2017). "Jean-Claude Juncker blocked EU curbs on tax avoidance, cables show". The Guardian. Retrieved 3 February 2017. ^ "Nation branding: the cultural divide". Luxemburger Wort. 28 January 2016. Retrieved 3 June 2016. ^ Goodley, Simon (8 December 2014). "PriceWaterhouseCoopers chief Kevin Nicholson denies lying over tax deals". The Guardian. Retrieved 7 July 2015. ^ "Tax avoidance: the role of large accountancy firms report published". UK Parliament. 6 February 2015. Retrieved 7 July 2015. ^ Bowers, Simon (5 February 2015). "PwC chief misled us over Luxembourg tax avoidance schemes, claim MPs". The Guardian. Retrieved 7 July 2015. ^ "Budget 2015: 'Google Tax' introduction confirmed". BBC News. 18 March 2015. Retrieved 7 July 2015. ^ "Inculpation d'une personne pour vol domestique suite à une plainte de PRICEWATERHOUSECOOPERS" [Indictment of a person for domestic flights following a complaint from PRICEWATERHOUSECOOPERS] (Press release) (in French). La Justice de Grand-Duché de Luxembourg. 12 December 2014. Retrieved 7 July 2015. ^ Dalton, Matthew (15 December 2014). "Suspected LuxLeaks Leaker: I Am Part of a Bigger Movement". Wall Street Journal. Retrieved 7 July 2015. ^ Lecadre, Renaud (14 December 2014). "LuxLeaks : "J'ai agi par conviction, la cohérence était d'assumer"". Liberation (in French). Retrieved 7 July 2015. ^ Bowers, Simon (23 December 2014). "World unites to decry prosecution of source behind LuxLeaks tax scandal". The Guardian. Retrieved 7 July 2015. ^ Piketty, Thomas; Joly, Eva; Cohn-Bendit, Daniel; Snowden, Edward (9 March 2015). "Soutien à Antoine Deltour, lanceur d'alerte LuxLeaks" [Support Antoine Deltour, whistleblower LuxLeaks]. Liberation (in French). ^ "Luxleaks whistleblower awarded citizen prize". Luxemburger Wort. 4 June 2015. Retrieved 7 July 2015. ^ "European Citizen's Prize: honouring engaged Europeans". European Parliament (Press release). 4 June 2015. Retrieved 7 July 2015. ^ "Offshore whistleblowers Deltour, Gibaud, nominated for Sakharov prize". Tax Justice Network. 11 September 2015. Retrieved 27 October 2015. ^ "Tax Analysts Announces Person of the Year Features for 2015". taxanalysts.com (Press release). 10 December 2015. Retrieved 31 March 2016. ^ "Second French suspect charged over Luxleaks tax probe". EU Business. Luxembourg. AFP. 23 January 2015. ^ "LuxLeaks trial: Secret agreement between PwC & whistleblower revealed". Luxemburger Wort. 30 April 2016. Retrieved 11 June 2016. ^ "Luxembourg court charges French journalist over LuxLeaks role". The Guardian. Archived from the original on 26 April 2015. ^ "Luxembourg charges French journalist over LuxLeaks". Reuters. 23 April 2015. Retrieved 7 July 2015. ^ "Shock at Luxembourg's decision to charge LuxLeaks reporter". Reporters without Borders. 23 April 2015. Retrieved 7 July 2015. ^ France-Presse, Agence (10 May 2016). "LuxLeaks prosecutors seek jail term of 18 months for whistleblowers". The Guardian. Retrieved 11 June 2016. ^ "Luxleaks whistleblowers found guilty, given suspended sentence". EurActiv with agencies. 29 June 2016. Retrieved 30 June 2016. ^ "Corporate whistleblowers: Deltour in the dock". The Economist. 30 April 2016. Retrieved 11 June 2016. ^ "EU dragging its feet on new whistleblower protections". EU Observer. 19 July 2016. Retrieved 3 December 2016. ^ "Trial opens against LuxLeaks whistleblowers". Deutsche Welle with AFP/Reuters. 26 April 2016. Retrieved 11 June 2016. ^ "New court appeal clouds LuxLeaks whistleblowers future". EU Observer. 5 August 2016. Retrieved 3 December 2016. ^ Pegg, David (8 September 2016). "MEPs offer support to convicted LuxLeaks whistleblowers". The Guardian. Retrieved 3 December 2016. ^ "LuxLeaks whistleblowers to hear appeal result". The Business Times with AFP. 10 January 2017. Retrieved 15 February 2017. ^ "Procès " LuxLeaks " : les peines des lanceurs d'alerte allégées en appel". Le Monde.fr. 15 March 2017. Retrieved 25 April 2017. Margrethe Vestager is a Danish politician serving as the European Commissioner for Competition since 2014. She previously served as a member of the Folketing from 20 November 2001 until 2 September 2014, representing the Danish Social Liberal Party. She was the political leader of her party from 2007 to 2014, and served as Minister of Economic Affairs and the Interior from 2011 to 2014. She has been described as "the rich world’s most powerful trustbuster." Miguel Arias Cañete is a Spanish politician. He has been the Spanish European Commissioner since November 2014. François Bausch is a Luxembourgish politician. He is a member of the Chamber of Deputies and communal council, and an échevin, of Luxembourg City. He is leader of the Greens in the Chamber. The International Consortium of Investigative Journalists (ICIJ) is an independent Washington D.C.-based international network. 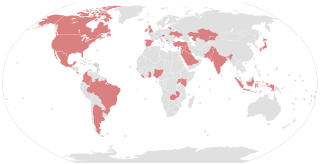 Launched in 1997 by the Center for Public Integrity, ICIJ was spun off in February 2017 into a fully independent organisation which includes more than 200 investigative journalists and 100 media organizations in over 70 countries who work together on "issues such as "cross-border crime, corruption, and the accountability of power." The ICIJ has exposed smuggling and tax evasion by multinational tobacco companies (2000), "by organized crime syndicates; investigated private military cartels, asbestos companies, and climate change lobbyists; and broke new ground by publicizing details of Iraq and Afghanistan war contracts." Offshore Leaks is the name of a report disclosing details of 130,000 offshore accounts in April 2013. Some observers have called it the biggest hit against international tax fraud of all times, although it has been pointed out that normal businesses may use the offshore legislation to ease formalities in international trade. The report originated from the Washington D.C.-based investigative journalism nonprofit, the International Consortium of Investigative Journalists (ICIJ), who collaborated with reporters around the world to produce the series of investigative reports published in connection with ICIJ's The Global Muckraker. The investigation is based on a cache of 2.5 million secret records about the offshore assets of people from 170 countries and territories, obtained by ICIJ's director, Gerard Ryle. The ICIJ Offshore Leaks Database is headed with the cautionary paragraph: "There are legitimate uses for offshore companies and trusts. We do not intend to suggest or imply that any persons, companies or other entities included in the ICIJ Offshore Leaks Database have broken the law or otherwise acted improperly." Swiss Leaks is the name of a journalistic investigation, released in February 2015, of a giant tax evasion scheme allegedly operated with the knowledge and encouragement of the British multinational bank HSBC via its Swiss subsidiary, HSBC Private Bank (Suisse). Triggered by leaked information from French computer analyst Hervé Falciani on accounts held by over 100,000 clients and 20,000 offshore companies with HSBC in Geneva, the disclosed information has been called "the biggest leak in Swiss banking history". Hugues Bayet is a Belgian politician of the Socialist Party. He is currently a Member of the European Parliament and the mayor of Farciennes. The Paradise Papers are a set of 13.4 million confidential electronic documents relating to offshore investments that were leaked to the German reporters Frederik Obermaier and Bastian Obermayer from the newspaper Süddeutsche Zeitung. The newspaper shared them with the International Consortium of Investigative Journalists, and a network of more than 380 journalists. Some of the details were made public on 5 November 2017 and stories are still being released.